Welcome to PART 16 of the Inflammatory Bowel Disease series, where we talk to people from all walks of life with this condition; to give everyone a platform to share their story, and help to raise awareness. 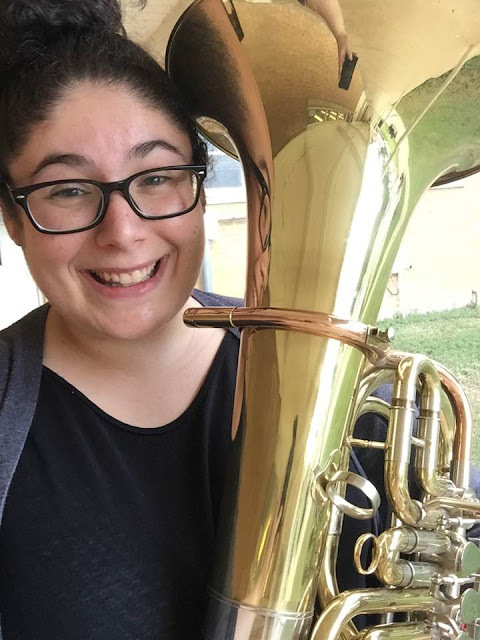 This week we talk to Casey about her battle with Crohn’s Disease. Music Teacher and performer. I am also on the Board of Directors for a foundation that works with the homeless animals in our city (Denton Animal Support Foundation). I felt pretty relieved when diagnosed. I struggled with digestive problems my entire life - my mom suspected IBD when I was young and tried to get a diagnosis but the doctors didn't see enough evidence on the outside to run any tests. I was told most of my life it was IBS and to just work on my diet for relief (which didn't work). When I was 22 and planning my wedding I went into the worst flare I ever had, which led to an Ulcerative Colitis diagnosis. That doctor ended up not working out, and the next doctor did a colonoscopy and changed the diagnosis to Crohn's. As tired and sick as I felt, it was nice to have someone validate the pain I was going through and help to form a plan for treatment. The doctor who first diagnosed me told me up front that he didn't have any IBD patients and that I would need to move on, which I did. The next doctor was very good and was always giving me more information and involving me in my treatment plan, but as my disease got worse he decided to send me to a specialist who has been amazing! Besides my doctors, my husband has been my biggest support system. He comes to every appointment, takes notes, does research, and advocates fiercely for me. I'm very lucky to have someone like that in my corner. I am currently on Lialda, 6mp, and Entyvio (every 8 weeks, probably switching to 6 though). I also take different things for nausea, pain, GERD, and such. I have way more hospital visits than I'd like, but on top of having Crohn's I also have Type 1 diabetes, so there are some other complications that require a trip. My first year with the disease I was in the hospital a couple of times a month, since then i've gotten better about managing pain and dehydration - I really only go to the hospital if I feel like I can't get the dehydration under control. I'm hesitant to go for pain, as we have a large drug problem in our community and I don't want to get into a situation where they see me as someone with an addiction. I had 11 colonoscopies in my first year and a half of diagnosis, which I never thought to question because I wasn't sure if it was standard or not. Since then its usually twice a year for both scopes, more if something is wrong. I don't have an IBD nurse. Stress is a big one for me, I start hurting soon after getting stressed out. I also notice worsening symptoms in the summer and usually end up in the ER more often because of it! For the most part though, flares and symptoms seem pretty random. I do struggle with depression and anxiety, and wish this was something that was discussed more with doctors because it is a huge component of our disease! I'm sure there was some underlying depression before the illness, but it definitely got worse once I started getting really sick. I don't always notice it, but the people around me let me know if they're noticing a change in mood. I tried seeing a couple of therapists, but didn't feel like they had enough understanding of what life with chronic illness is like to be able to help me. If I could find someone with experience in that I would definitely make an appointment! 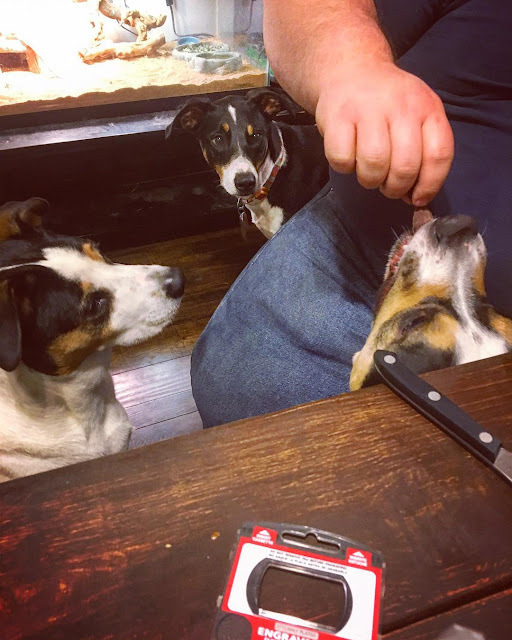 I have the cutest dogs on the planet, and they are my favorite coping buddies. I spend a lot of time in bed or in the bathroom when flaring, and they are always by my side and remind me that there's more to life than just illness. When I feel like a flare is starting, I usually stop eating and up my fluid intake to try to give my body a rest. I make sure to rest as much as I can, and I use a heating pad for pain. Flares for me usually means liquids and solids will either cause bad pain or send me straight to the bathroom, so if its bad enough I will go to the ER for IV fluids. If I can drink, I use homemade electrolyte drinks or DripDrop. I love to cook, garden, and spend as much time outside with the dogs as humanly possible. I started following the Autoimmune Protocol a little over a year ago. It didn't help with my Crohn's as much as I would have liked, but it definitely made my body stronger and healthier. It is an elimination diet that is similar to Paleo with more restrictions. At this point I have reintroduced a lot of foods but don't eat gluten, dairy, or raw greens and that seems to be okay for now. Don't wait until you are too sick to get out of bed to look for answers! IBD might not be the answer, but if you are experiencing concerning symptoms a doctor should know! Try to always see things from your loved one's perspective. If we have to cancel plans or leave something early, we have probably gone back and forth over that decision for hours before bringing it up. Most of all just be understanding that we didn't choose the way our bodies work, and we can't control what it decides to do. I try to always pay attention to the good that I have in my life. I have a wonderful family, husband, pets, career, and can afford to live on the salary we bring in. I may be sick, but some people have it much worse than I do. I do a lot of volunteer work, but can't always do as much as i'd like. I have to always remind myself that giving 100% looks different for everyone, and we have to constantly evaluate where we are to know if we are doing our best because our best changes from day to day. 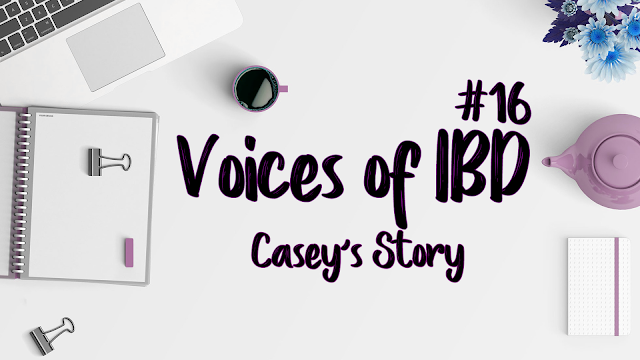 Thank you Casey for sharing your story here on BecxBlogs. If you are affected by Crohn's or Colitis; please go to the Crohn's & Colitis UK website for further support and information.